UGC Sponsored two day 10th National Conference on Recent Advances in Chemical and Environmental Sciences (RACES-2019) concluded here today. 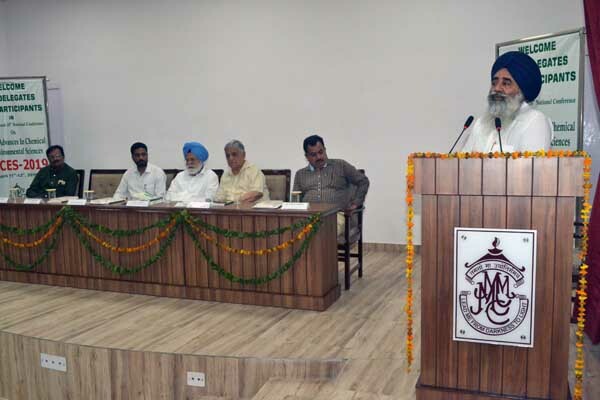 Dr. B. S. Ghuman, Vice Chancellor, Punjabi University, Patiala presided over the Valedictory Session. He congratulated the college authorities for organizing an all inclusive multidisciplinary conference comprising diverse fields of Chemical and Environmental Sciences. He expressed that good research should not only be published in journals but it should cater to societal needs and the complicated terminological scientific vocabulary should be translated and interpreted in the language of common people. 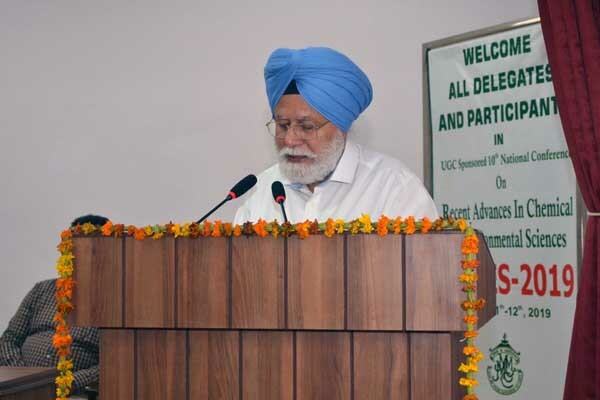 The Guest of Honour on the second day of the conference, Dr. Pritpal Singh, Vice Chancellor, Sri Guru Granth Sahib World University, Fatehgarh Sahib, said that global warming, population explosion and environmental degradation are the global challenges which the future scientists should try to engage with. He added that this can only be done by use of environmentally clean renewable energy, reduction in carbon emissions, narrowing the knowledge gap between research institutions and farming communities, reduced use of pesticides and fertilizers and improvement of postharvest technologies. 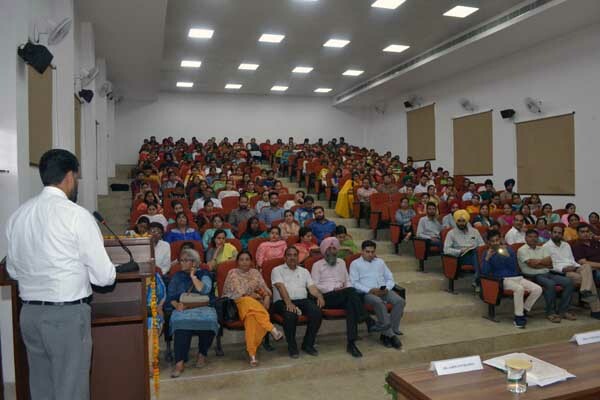 Principal Dr. Khushvinder Kumar said that the college is committed for providing financial and academic support to provide a conducive and research oriented environment for its students. This conference was designed and planned for constructive inter-dialogue between academia, scientific community and students. In the fourth technical session Prof. Inderpal Singh, NIPER, Mohali in his talk focused on the application of advanced analytical techniques for finding chemical fingerprints in selected medicinal plants. Dr. Madhu Chopra, Dr. B. R. Ambedkar Centre for Biomedical Research, University of Delhi spoke about design and synthesis of virtual tools for identification of novel lead compounds useful for enzyme inhibition. Dr. Manmohan Chibber, School of Chemistry and Biochemistry, Thapar Institute of Engineering and Technology talked about development of resistance against drugs by certain pathogens and synthesis and evaluation of Fluoroquinolones against these drug resistant strains. In the fifth technical session, Dr. Kuldeep Singh, MMU, Mullana delved into the synthesis of macroheterocycles and their utility in tracking biopeptides in biological systems. Dr. Tejwant Singh, GNDU, Amritsar talked about self assembly and synthesis of Surface Active Ionic liquids. The technical sessions were chaired by Dr. Anupama Parmar and Dr. Inderpreet Singh. The conference was attended by more than 200 delegates from different colleges and universities of eight states and two Union territories. In five technical sessions spread over two days about 80 delegates presented posters and more than 40 delivered oral presentations of their research work. Many budding researchers belonging to various sub-disciplines of science gave their presentations in the young scientist category which drew positive response from all the delegates. Young Scientist Awards were presented to Dr. Sakshi Kaul, Cluster University, Jammu in the Environmental Sciences Category and Ms. Himshveta, Punjabi University, Patiala and Shagun, Thapar Institute of Engineering and Technology, Patiala in the Chemical Sciences category. 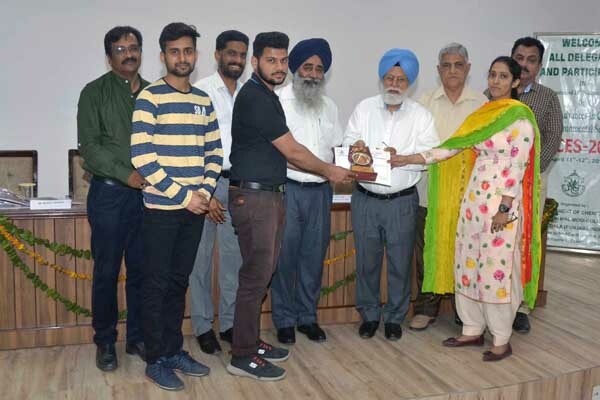 In the poster presentation competition (Research category) first prize was bagged by Gagandeep Kaur, NIT Jalandhar, Second prize was shared by Harpreet Singh, Palwinder Singh, Akshay Kumar and Anup Thakur of Punjabi University, Patiala and Shubham Bansal of M. M. Modi College, Patiala. The third prize in this category was won by Arjun Katal, NIT, Jalandhar. 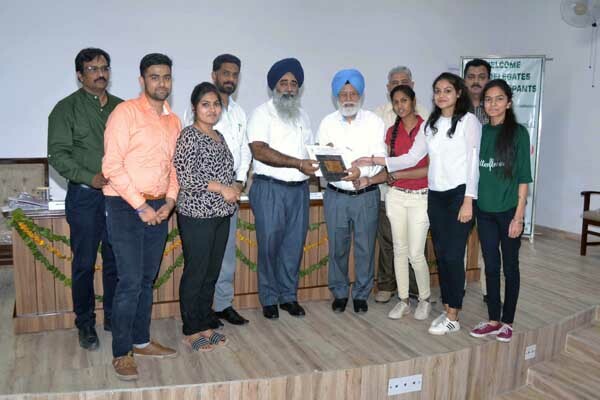 In the poster presentation competition for postgraduate students (Chemical Sciences) Rajinder Kamboj Singh and Dimple Sethi Chopra from Punjabi University, Patiala stood first, Second prize was shared by Ruhani Thakur, Anjali, Sapna, Romi and Sarabjot Kaur, Aarzoo all from M. M. Modi College, Patiala. Third prize was bagged by Harpreet Kaur, Vinit Prakash and Manoj Kumar of M.M.U, Sadopur, Ambala. 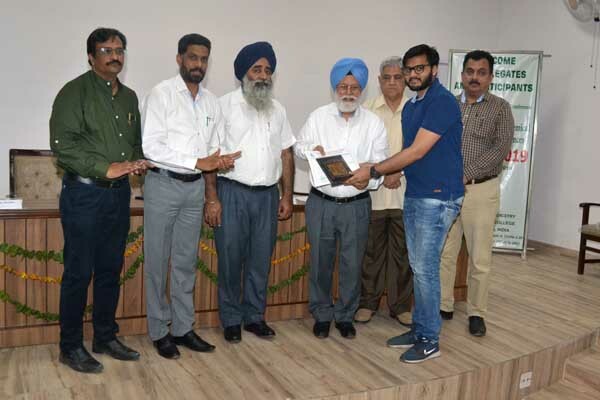 In the poster presentation competition for postgraduate students (Environmental Sciences) first prize was won by Yogesh Kumar, Harpreet Kaur and Manoj Kumar from M. M. Modi College, Patiala. Second prize was bagged by Gurinder Singh from Khalsa College, Patiala. The third prize was won by Komal Bansal, Ritu Rani and Maninder Kaur from M.M.Modi College, Patiala. For these competitions, Dr. Diwakar Aggarwal, MMU, Mullana, Dr. Neelam Verma, Punjabi University, Patiala judged the posters of Environmental Sciences category while Dr. Harsh Manchanda, NIT, Jalandhar and Dr. Poonam Patyar, Punjabi University Patiala judged the posters for Research and Chemical Sciences categories. 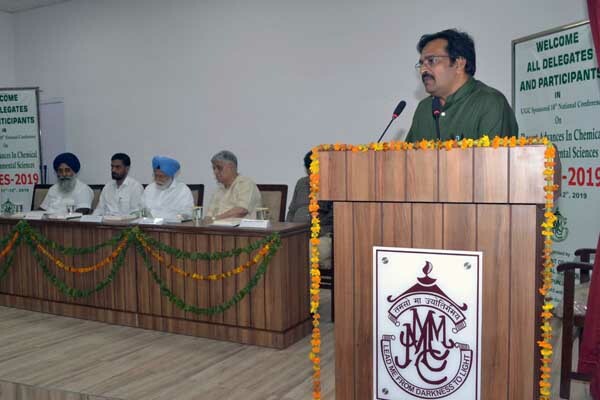 Prof. Surindra Lal, Member Modi Education Society, said that a true research scholar never complains of the scarcity of resources to pursue quality research. 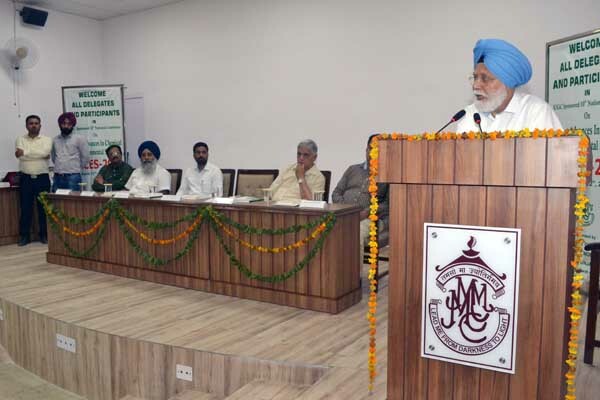 He also stressed upon the need to inculcate scientific temperament among young minds. Dr. Rajeev Sharma, Convener of the conference presented a brief report of the conference. Dr. Ashwani Sharma, coordinator of the conference thanked the guests and delegates on behalf of the organizing committee of the conference. 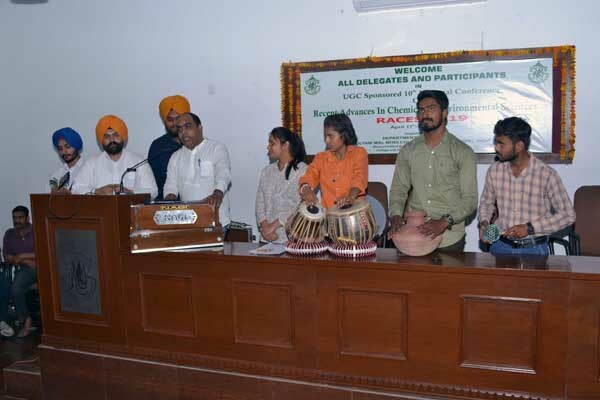 Dr. Ashwani Sharma and Dr. Sanjay Kumar were the coordinators and Dr. Harjinder Singh and Dr. Sanjeev Kumar worked as the organizing secretaries of the conference.